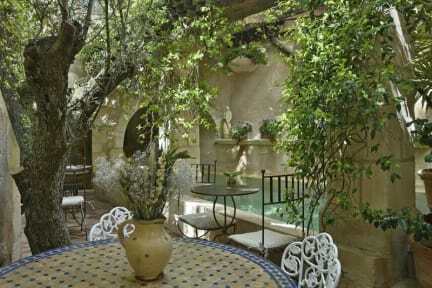 Un Mas en Ville is set in a three-storey Provençal farmhouse and features en suite accommodations with a country décor, an outdoor swimming pool and a spa bath. The accommodation has an equipped kitchen and free WiFi is provided throughout the place. Home-made jams, honey, traditional gingerbread, brioches and pastries are served in the organic breakfast. A common kitchen is at guests’ disposal if they want to cook their own meals. 'Mas en ville' is located in the heart of Marseilles within a couple of blocks from the Préfecture. The areas Castellane and prefecture area great choice for travellers interested in beaches, sightseeing and city walks. The Opéra is a 10 minutes’ walk away and Notre-Dame de la Garde Basilica is 2 km away. The Metro Station is 280 m away and Velodrome Stadium is 4 km from the property. 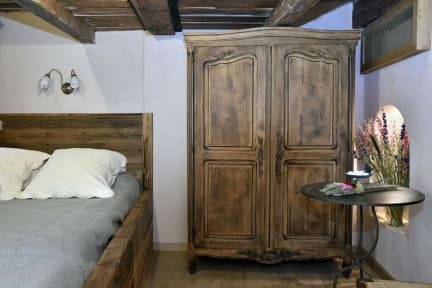 The Mas en Ville offers 10 bedrooms for 1 to 6 guests decorated in “provençal” style with antique furniture and traditional « boutis » colourful bedspreads of Provence. Each room at Un Mas en Ville includes a private bathroom with bathrobe, hairdryer and shower. Everything was conceived for your well-being and comfort in order to make your stay an unforgettable moment. Our quality facilities include: limestone private bathrooms, linen, bathrobes, air conditioning and free Wi-Fi. Check out from 07:00 to 11:00. Cancellation policy: 72h before arrival. Payment upon arrival by cash, credit cards. This property might pre-authorize your credit card. Reception: from 7 to midnight. It’s a really nice place, the breakfast is just perfect. The location is good.